This post is just to highlight some key areas of the Brexit preparedness notices issued by the UK Government and the European Commission (EC). I recommend that you have a look through all of them because there are many non-timber specific things to be aware of – but here I will highlight a few special ones for producers and users of timber and wood products, that are perhaps not so easy to spot by the casual reader. First, the UK Government has just (24 September 2018) put out a notice called “Buying and selling timber if there’s no Brexit deal”. Sadly this does not contain all the relevant information, but it is a good place to start. This notice is about the EU Timber Regulation (EUTR) and Forest Law Enforcement Governance and Trade (FLEGT) regulation – so aspects relating to sustainability and legality of timber supply chains. You can read the EC’s notice on this subject here (“Illegal logging and associated trade” published 21/03/2018). Less obvious, but with vastly wider implications, are the laws relating to wood packaging materials (pallets, boxes, dunnage etc), and which also apply to logs and sawn green timber. Those are found in the UK Government’s notice “Importing and exporting plants if there’s no Brexit deal”, also published 24/09/2018. Despite the title, this notice covers aspects of biosecurity and plant health for plant products too – which includes wood. The EC’s notice on this subject is here (“Plant health” 21/03/2018). 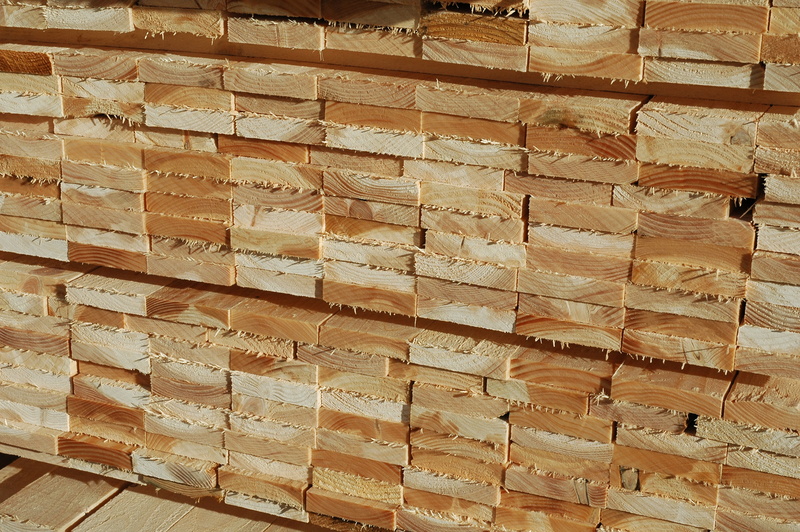 Since most goods are moved with wooden pallets and boxes, and ISPM15 is not currently required for trade within the EU, there are some very big practical issues here. The heat treatment itself is simple, but the volume of wood packaging that would suddenly need treatment is enormous. Finally, for now at least, is the even less obvious issues relating to production of structural timber and other wood-based construction products under the framework of the Construction Products Regulations (i.e. CE marked timber). This issue is covered by the UK Government’s notices “Appointing nominated persons to your business if there’s no Brexit deal” (13/09/2018) and “Trading goods regulated under the ‘New Approach’ if there is no Brexit deal” (13/09/2018). The information issued by the EC on this topic is here (“Industrial products”, 22/01/2018). Here are some very significant matters for UK based Notified Bodies, which hopefully they were already aware of and preparing for. On the immediate future of what is currently required by the Construction Products Regulations, I don’t think there is much different from what I said back in July 2016, except to note that there will be a new name for something that already exists – EN standards that are “Harmonised Standards” (and by virtue of BSI’s membership of CEN also British Standards) will become UK “designated standards”. The above are all examples of “non-tariff barriers” but we may also have issue of actual tariffs to consider (at least those can be solved with money). I’d recommend you take a look at this blog post from David Hopkins of the TTF (and also this more general one). In some other publications, the tariffs for wood are quoted as an average, and because the tariffs are zero for some things you might be misled into thinking they are low for all. The tariffs for board products can be pretty high. 6 Nov 2018 see also this post about marking and Notified Bodies – and this information from the TTF.